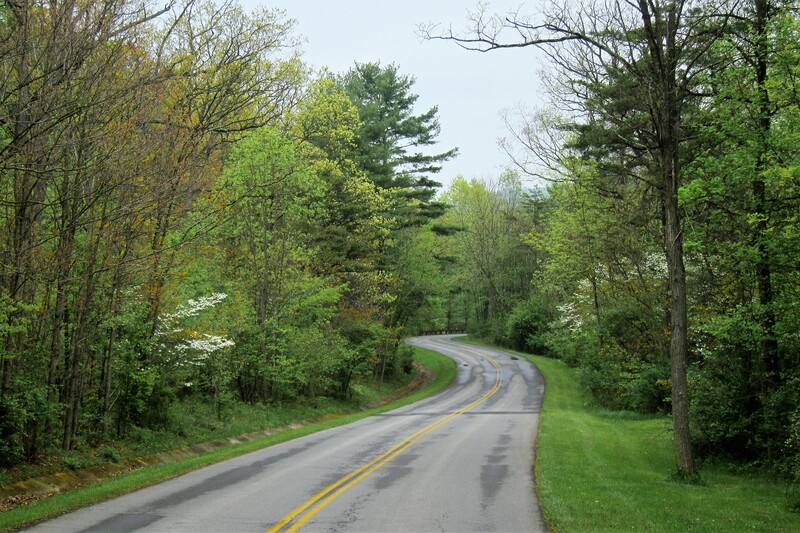 Wednesday, May 11, 2016: Since today was to be a short travel day, Kit and I enjoyed a leisurely morning of catching up on correspondence and walking about the grounds of Rocky Mountain State Park just outside Cumberland, Maryland. Underway shortly before noon, we wound our way through the Northern Maryland countryside. Within an hour, we located I-68 which then merged with I-70 near the town of Hancock. At 1300 we crossed into the state of Pennsylvania and made our way to I-76 which we rode east toward the town of York, PA.
Once again using All Stays, Kit found a highly rated campground just a short distance from my cousin’s home so I set the GPS to guide us there. That’s when things began to get interesting! Not only was it commuter rush-hour and therefore a bit congested, but there was a detour to contend with as well. No problem, we just hit the detour button on the GPS and were rerouted…to a road that featured a bridge with a 12-foot 3-inch clearance! Yikes…our rig stands at 12-feet 6-inches!! Fortunately, Kit noticed the warning signs before we hit (pun intended) the bridge…whew! So another push of the detour button and the GPS wanted to reroute us right back to where we started from!?!? Time to go for Plan B! 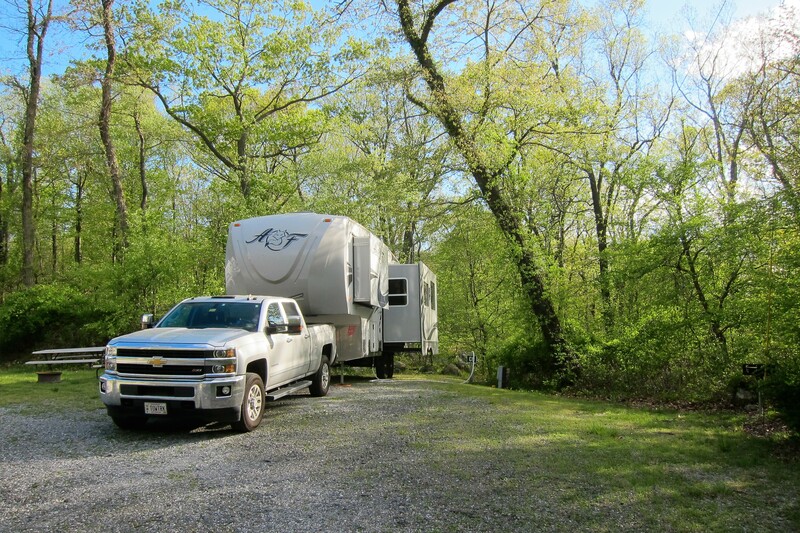 Selecting another campground a few miles further and also highly rated, we made our way north to the small farming community of Dover, Pennsylvania and pulled into the Cedar Lake RV Park. 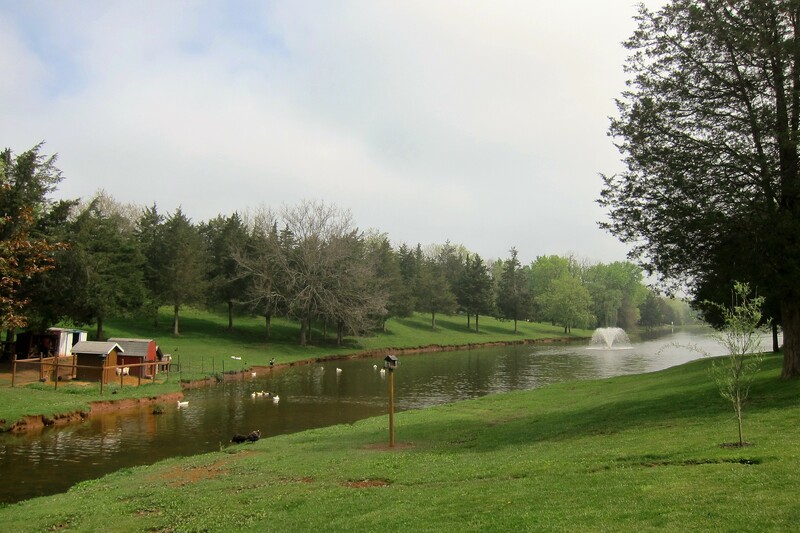 A very nice family owned campground which was built by the grandparents of the current owner, Cedar Lake features a manmade lake, well more like a duck pond…and some beautiful landscaping. 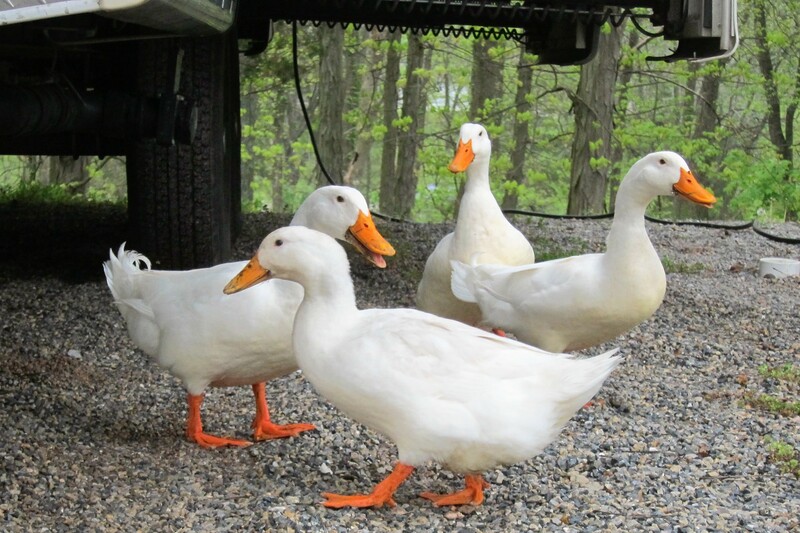 There are a variety of waterfowl in and around the park…even some that formed a committee to welcome us to our site! Turns out, they were all pets of one of the owners who cares for and feeds them daily. 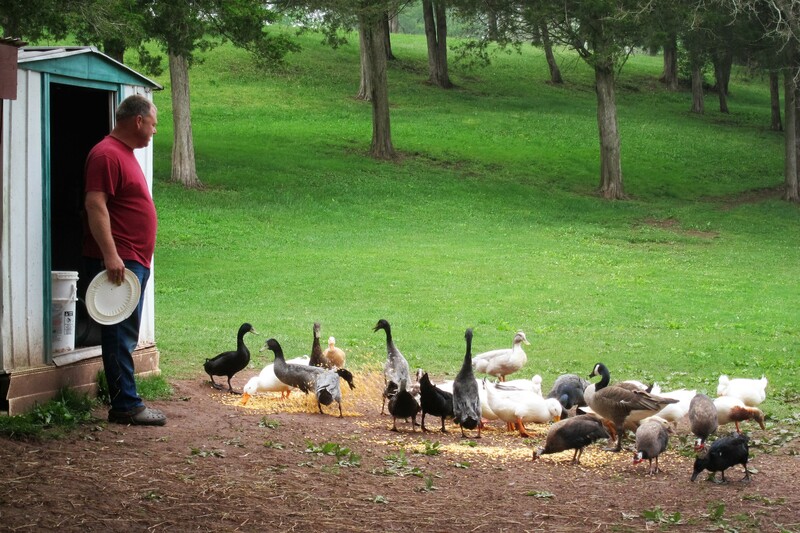 In talking to the fella, I discovered he knew the species and gender of every bird in his flock and even named the majority of them. According to the current owners, their great-grandfather tired of the difficult farming life and one day took an old bulldozer to the fields, carved out the valley where a stream already lay and created an earthen dam to form a rustic camp ground. Each succeeding generation has enlarged and improved the facility to what it is today. 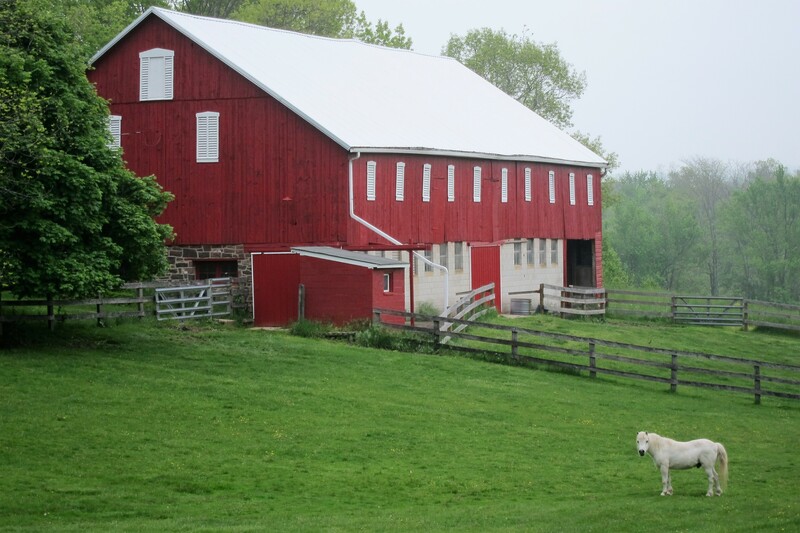 Just up from the campground on a high hill was a bucolic scene that featured the old family farm still in operation but today more devoted to horses than crops. The majority of the RV park was devoted to seasonal folks that set their rigs up permanently with decks, fences, plants and lawn ornaments. However, there is a small section of the park set aside for travelers such as us. 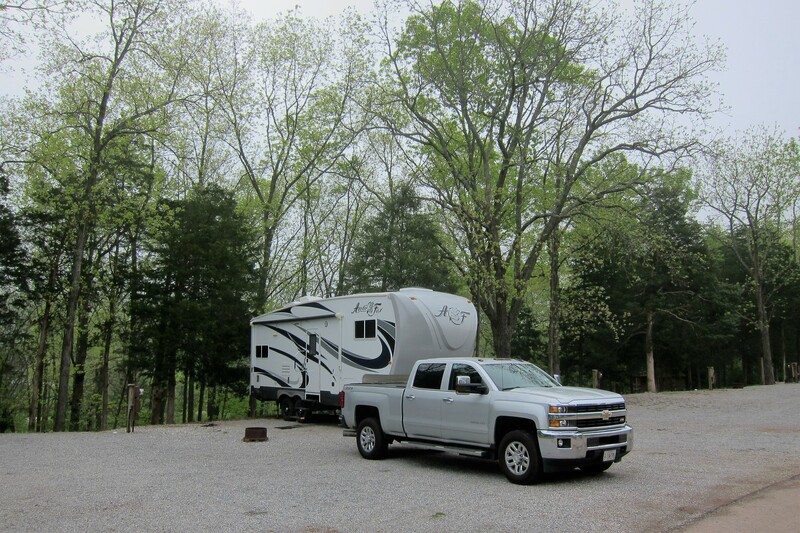 What our stark campsite lacked in landscaping was more than made up by the friendly owners and pleasant grounds. The main reason we stopped in York was to visit with my cousin, a materials engineer who works for a company that builds components for NASA. At this very moment there is a vehicle wandering around the surface of Mars that he had a hand in developing…pretty cool, huh?! Since cousin Don is working on some more Jules Verne like gadgets, he wasn’t available until later in the day, but he did suggest some local points of interest we might like to checkout. 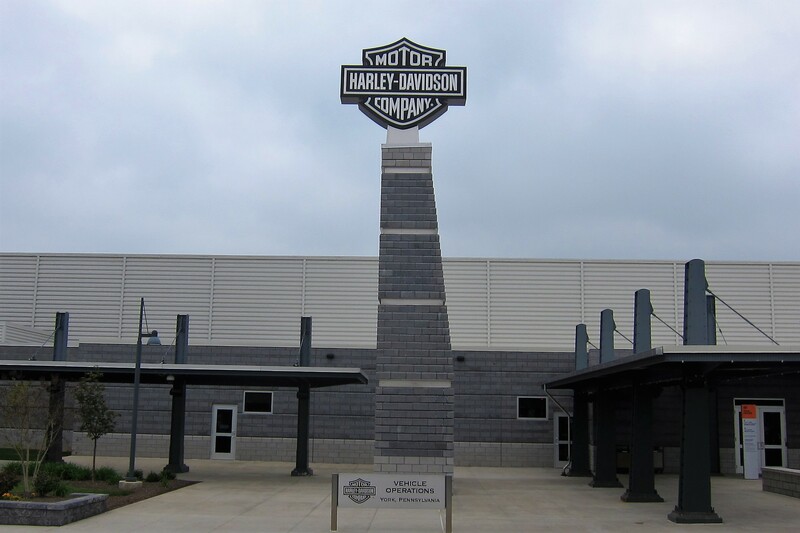 One of which was the Harley-Davidson factory. 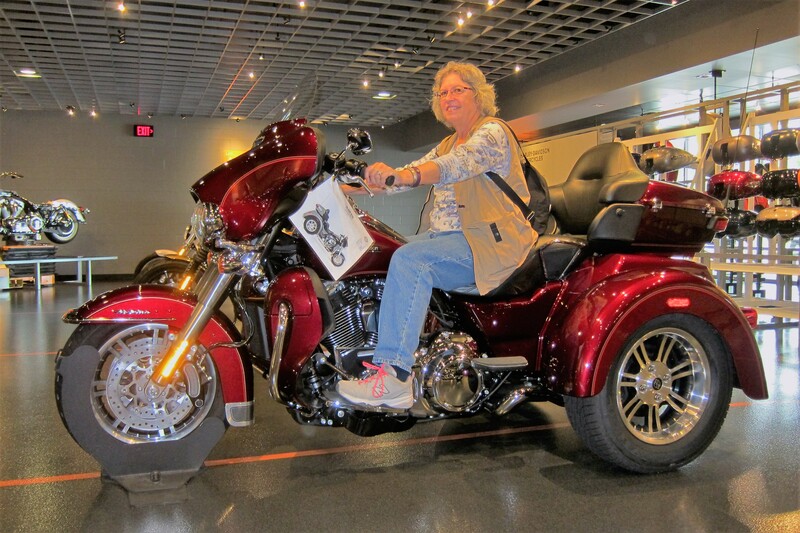 I didn’t think Kit would be too enthused about touring a motorcycle factory, but I was wrong…she loved it! Especially the trike…primarily because it is capable of carrying all her essentials. As for me, I keep most of my necessities in my pocket so the V-Rod suited me just fine! Wonder if we should sell the truck and trailer and acquire a couple of these bad boys for touring the US al fresco? Since we arrived at the factory fairly late in the day, actually just in time for the final tour, we were the only ones that our guide had in his group. As an enthusiastic Harley owner, our tour guide took far more time with us than usual and explained each step in the process thoroughly. As per corporate policy photography was not allowed on the factory floor, however suffice it to say we were really impressed by the level of robotics and automation used! Very little of these bikes are outsourced, all engines, frames, fenders gas tanks, etc. are produced in house. 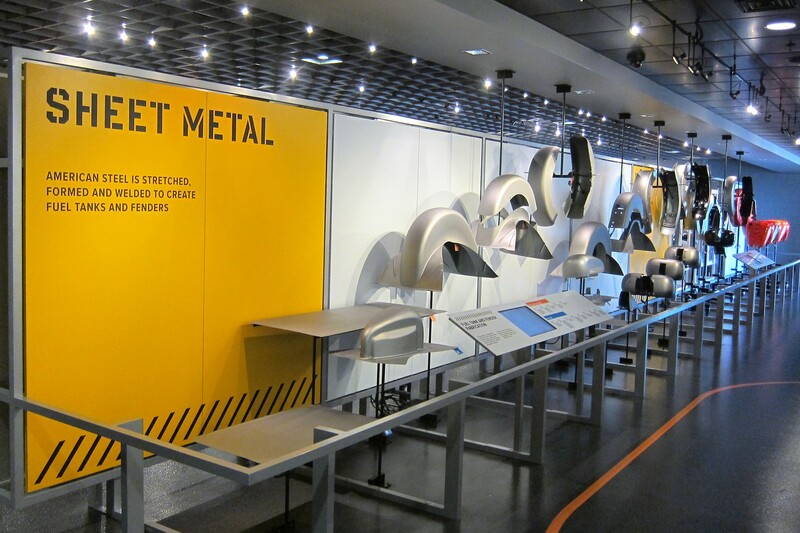 A sense of the manufacturing process is on display in the visitor center lobby. There you can see a representation of the various components coming together to make the completed bike. The quality assurance department was particularly interesting. Each completed machine is placed on a wheel dyno and run up through the gears to test its operation. Additionally, some bikes are randomly selected for detailed inspection…they are torn down, all specifications and tolerances measured and reassembled. The bike is then subjected to real world testing on the streets in and around the city of York! Harley Davidson Motorcycle Company began life in 1903 as a manufacturer of motor driven bicycles. Their first model featured a tiny 7 cubic inch engine and was so anemic that it couldn’t climb hills. By 1920, Harley Davidson was the largest motorcycle manufacturer in the world and were building numerous models with various engine displacements. The company survived the depression which saw many other manufacturers folding. Harley Davidson spent the war years building bikes for the military and then in 1945 reverted to civilian bike production with some very innovative designs. However, the company almost ceased to exist after being bought out by the AMF Corporation, a manufacturer of bowling and golf equipment…quality suffered greatly and sales dropped correspondingly. Then in 1981 a group of investors led by Willie G. Davidson, the grandson of one of the founders, bought the company and turned it around to become the institution it is today. The factory tour was enjoyable and a very informative look at a true American original being manufactured in an American factory by American workers! When cousin Don got off work, we all met at a very nice tavern called The First Post. Where we enjoyed a few micro beers, good food, and great conversation. I selected the Shrimp Scampi and it was some of the best I’ve ever enjoyed! Don’s wife Pat, a school principal, couldn’t join us as she was busy with end of the year tasks and responsibilities. A nice stay in York, Pennsylvania but tomorrow we must be moving on. Friday, May 13, 2016: Up early and following a leisurely walk about the campground Kit and I hit the road at 1048 hours. Winding our way through the Pennsylvania countryside we headed east on a variety of country roads. After a lunch stop at the Tangier Outlet, Kit wanted to engage in some “retail therapy” and found a pair of diminutive coveralls for young Silas, our new neighbor back home. 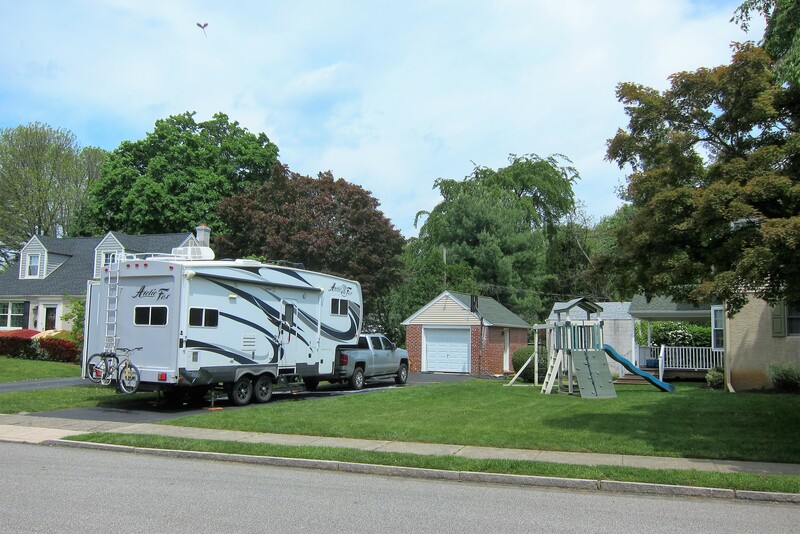 At 1500 we pulled into the quaint town of Springfield which is just to the west of Philadelphia and set up the camper in the driveway of another cousin, Mary Kate. This is a spot we’ve stayed at in the past and a perfect driveway for dooryard surfing! Kit and I enjoy staying here and look forward to a few days of visiting with my mother’s kinfolk! No sooner than we settled in a number of family members started showing up to visit, then some pizza was ordered, beer and wine was acquired, and a real party broke out! Such is the case whenever we are in town, or whenever the mood strikes this large close knit family…which is pretty often. 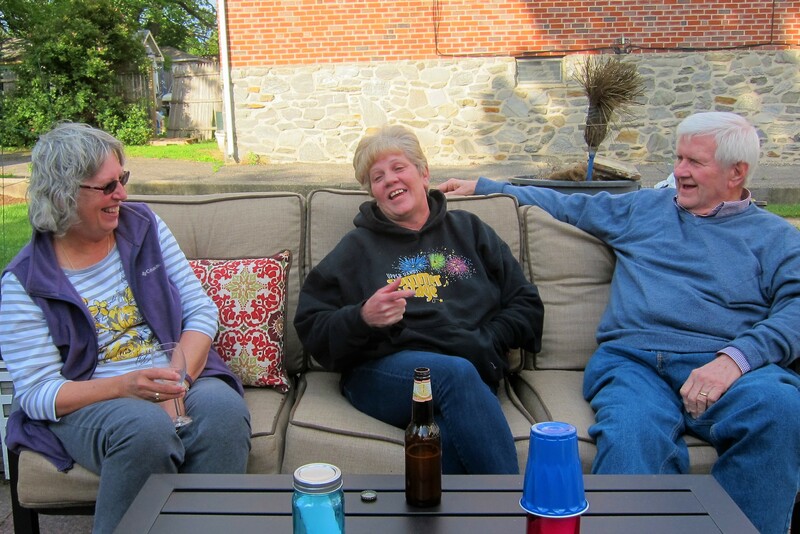 Saturday, May 14th and Sunday, May 15th, 2016-Springfield, Pennsylvania: My uncle Don and my Aunt Mary have raised a large, loving and wonderful family and they are all proud of their Irish Catholic roots as my mom was. Aunt Mary passed a few years ago, the loss of a beautiful soul. As the oldest living relative, Uncle Don is the family patriarch and as his generation is wont to do, came calling at our camper with food in the form of some incredible pastries. 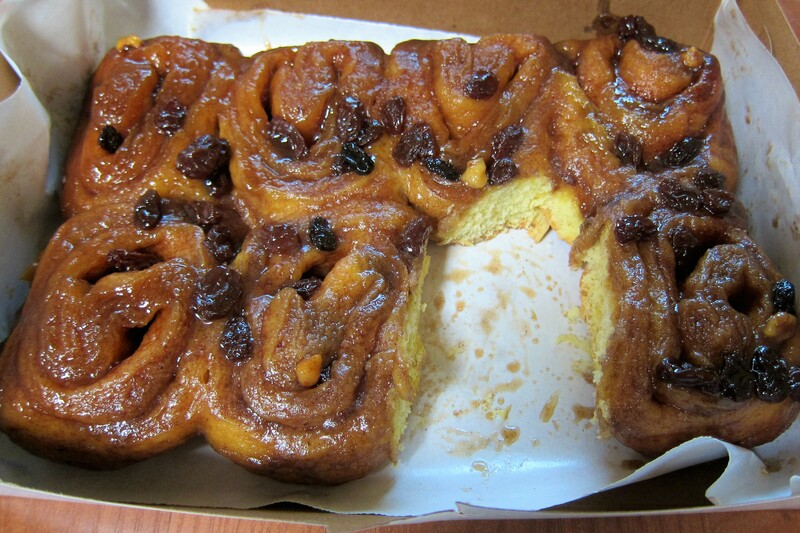 Apparently, as evident by a blank spot in the box, the bakeries Quality Assurance Department is required to sample the box of rolls to determine they were of the highest quality! 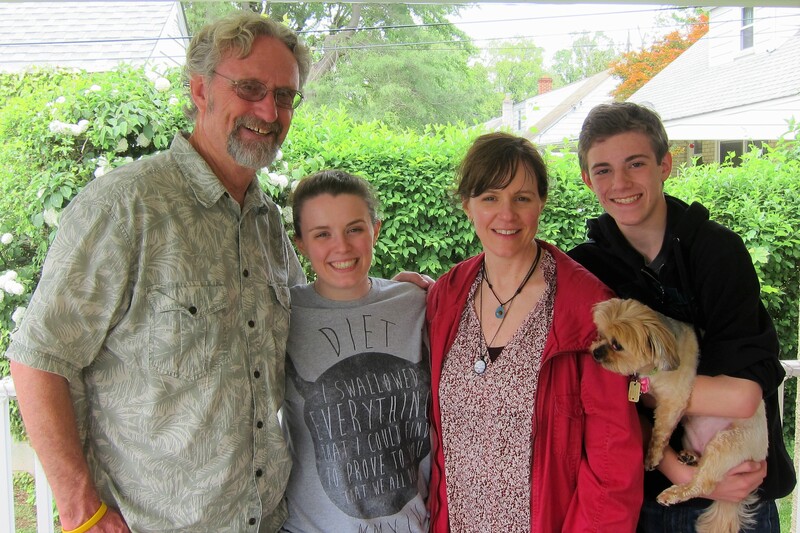 Kit and I spent the day relaxing with Mary Kate, Alora, Jimmy, and the newest member of the family, Gidget. The older son Jack, a talented and aspiring actor, was off to rehearsal for an upcoming performance. 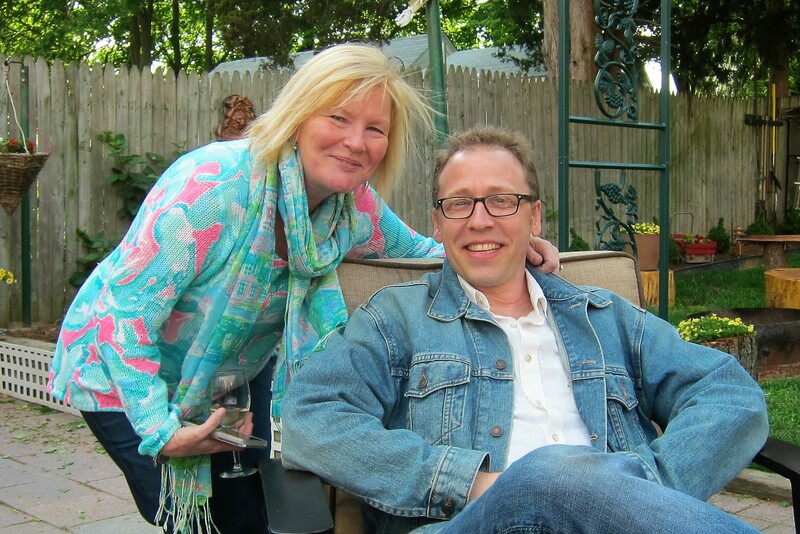 Yet another party was planned for Sunday by another of my Philly cousins, Anne whose home is a short distance away. 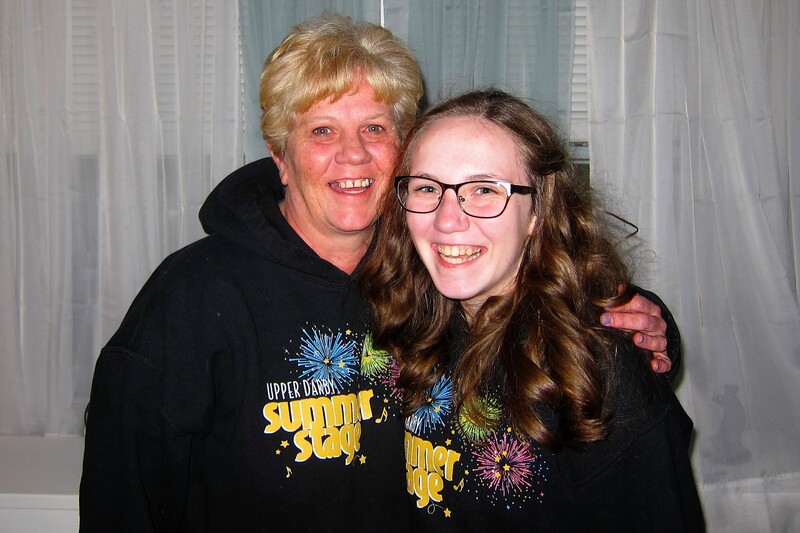 She was assisted by her daughter and able assistant Alli who, by the way, is an actress in her own right having performed in a number of local productions…this is one talented group! 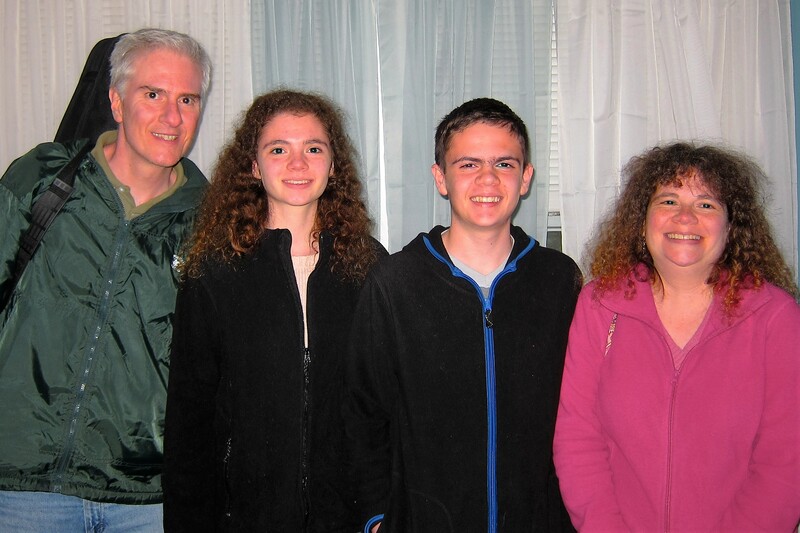 Most of the family still lives in the Philly area except for cousin Don who we visited in York, PA a few days ago and cousin Bill who lives with his family in North Carolina. 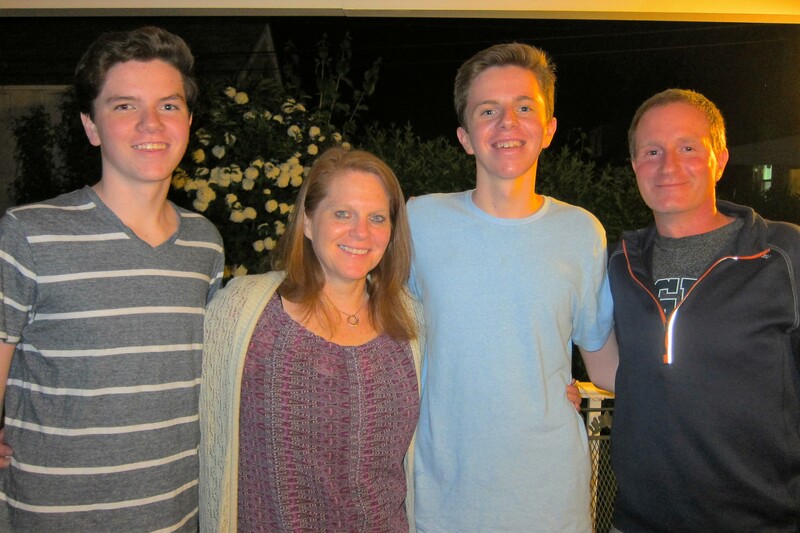 Amongst those that attended the party included John, Denise and their sons Owen and Neil…their daughter Erin Marie is away at college in New York. Also Mark and Ruth with Katie and Steven. Representing my Aunt Joan were cousin Barbara and her husband Jason. There was plenty of good food, drink and wonderful conversation including stories about my mom, her sister Aunt Joan, her sister-in-law Aunt Mary and others that have passed. Fortunately, although threating, the weather cooperated so we could enjoy the nice backyard to relax and visit. As mentioned earlier this family has a lot of talent! 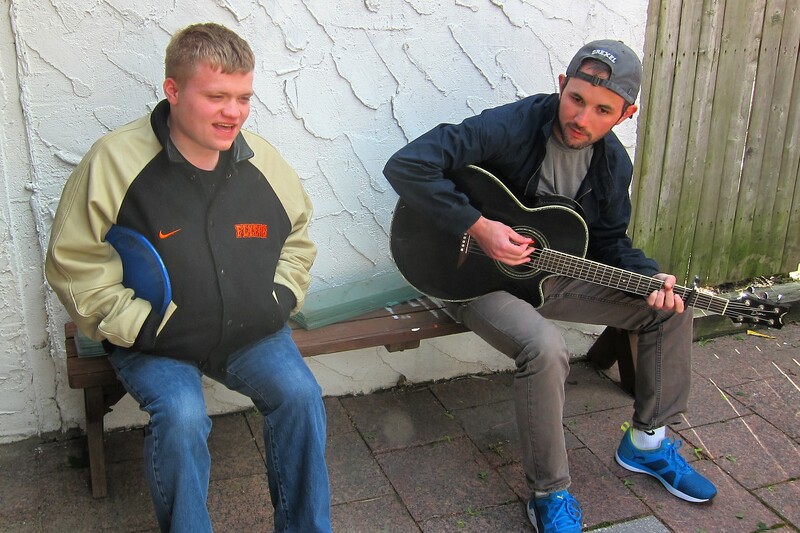 There are always a few folks that bring guitars and singing voices to entertain…such as Timmy, Anne’s son on the right and Jack, Mary Kates son. Tim, an upcoming graduate from Drexel fronts a trio called Glengesh that specializes in Irish music. 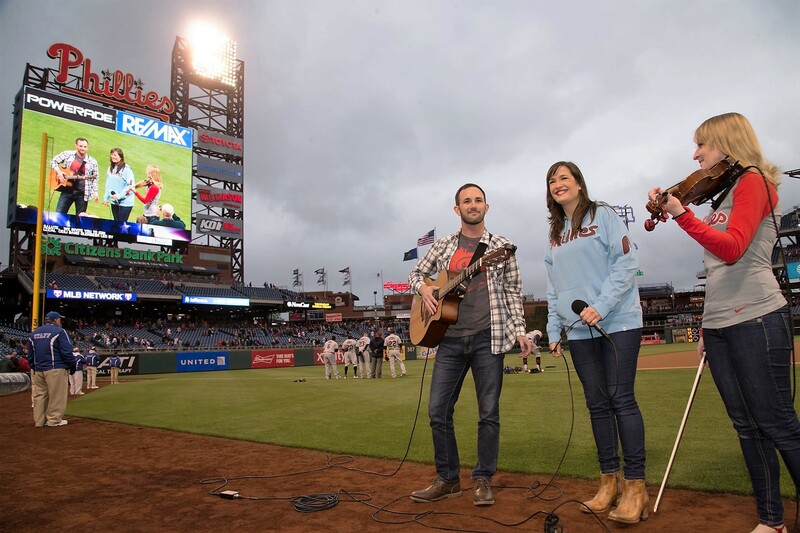 They were recently honored to sing the National Anthem at a Philadelphia Phillies baseball game. 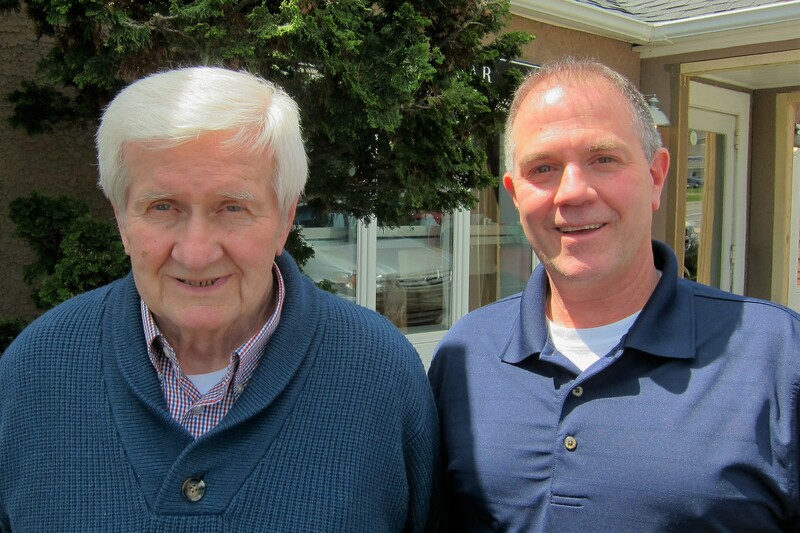 Kit and I thoroughly enjoyed visiting with my mother’s side of the family…they are always generous with their time and we enjoy seeing them whenever we trundle through the Philadelphia area. Monday, May 16, 2016: This morning we had intended to pull out early and head north towards home. However, my Uncle Don invited us to breakfast at a local café, and fortunately cousin Joe, who we hadn’t seen yet, was able to join us. A very good meal and some great conversation was followed by a nice ride through the countryside as we returned to the camper. Saying our goodbyes to everyone, Kit and I were on the road at 1315 hours following the Westchester Pike until we reached I-476. 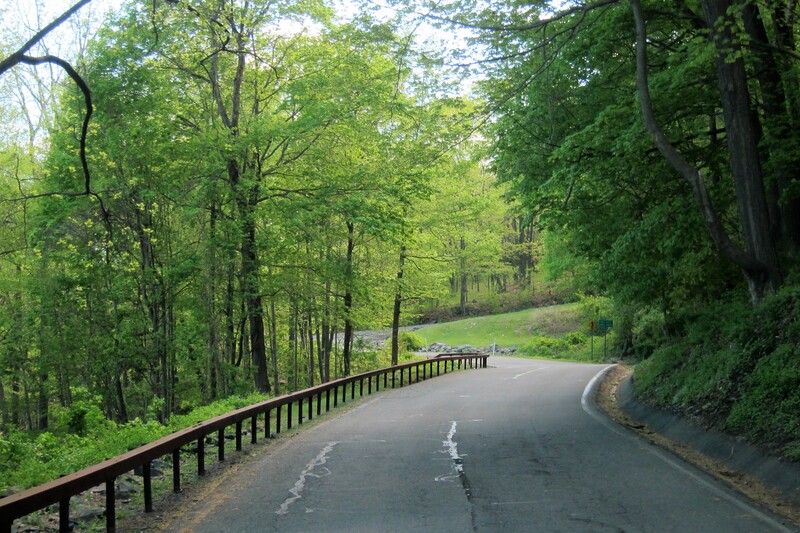 An uneventful transit to the north led us to New Jersey by 1450 and to the New York state line at 1633. Realizing that we wouldn’t get home until late in the evening, we decided to stay overnight at Round Pond, a Military Recreation Facility just outside the town of West Point, NY. Selecting a nice secluded campsite, we left the rig hooked up and spent the evening relaxing. 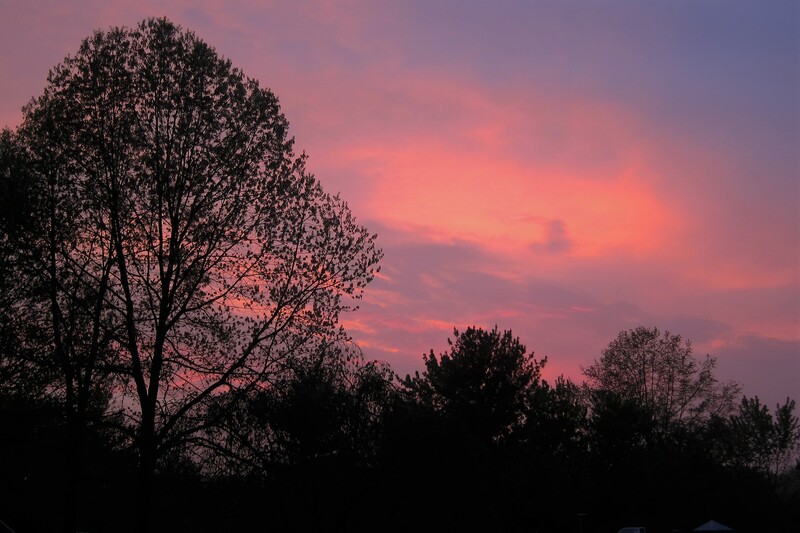 And enjoying the sunset through the trees. While excitedly discussing tomorrows destination…home! 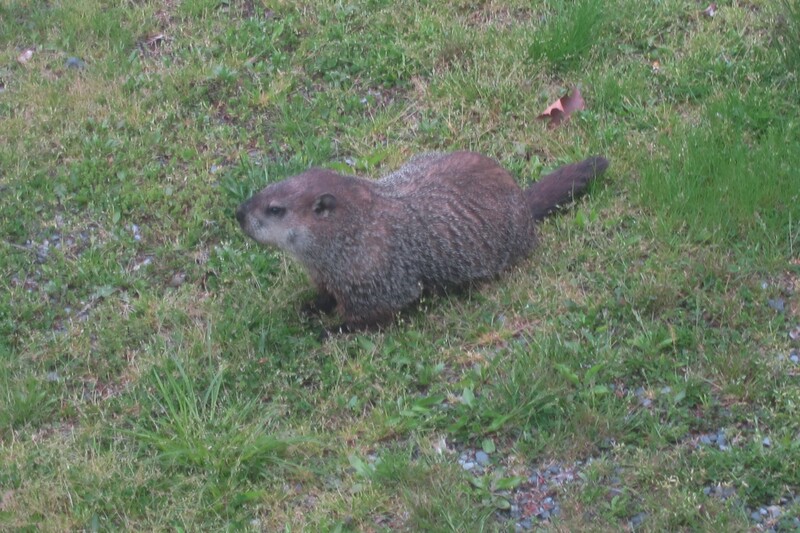 Tuesday, May 17, 2016: Woke to a neighbor scurrying about outside the window. Likely from the nearby pond, he was a busy little fellow scampering about our campsite looking for who knows what!? 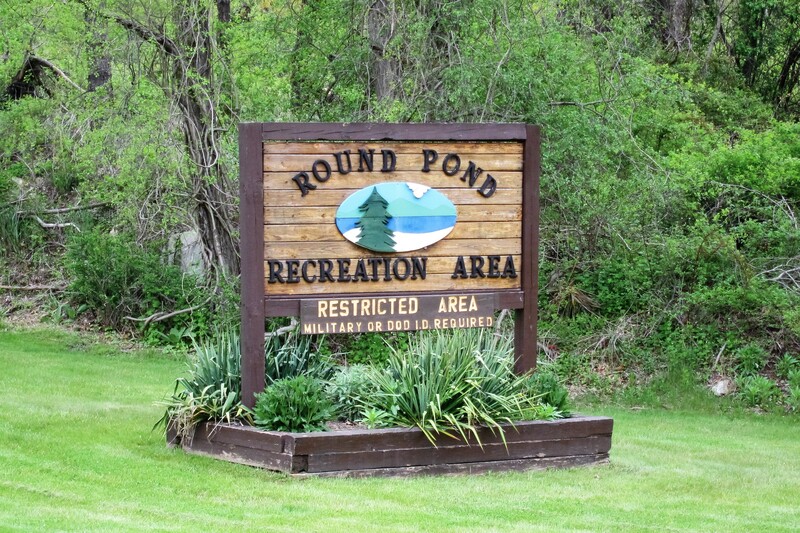 On the road by 0945 hours and winding our way through the rest of Round Pond Recreation Facility as we headed east. Driving toward the town of Cornwall on a small country road, we encountered a railroad underpass that had a height restriction of 12’10”. Our rig has a height of 12’6”…hope everyone did their measurements correctly! With only 4” to spare and nowhere to turn around, I slowed to a crawl and watched/listened for any contact. Fortunately, we made it through…whew! 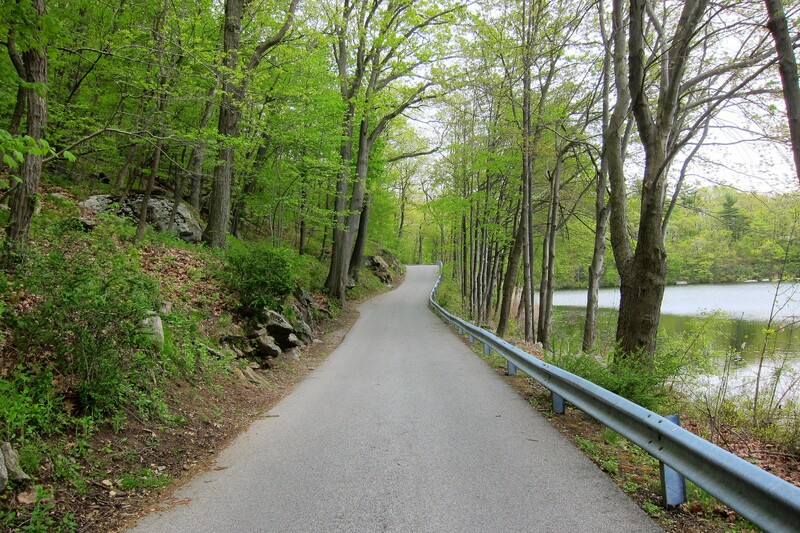 It was a beautiful spring day in New England as we motored over the Hudson River at Newburg, New York and selected a variety of roads and highways to wind our way toward the northeast. At 1117 hours we crossed the Connecticut border and by 1327 we were rolling into Massachusetts on I-84. Finding our way to the Mass Pike we headed east until encountering I-495 which we took toward the north eventually merging with I-95. 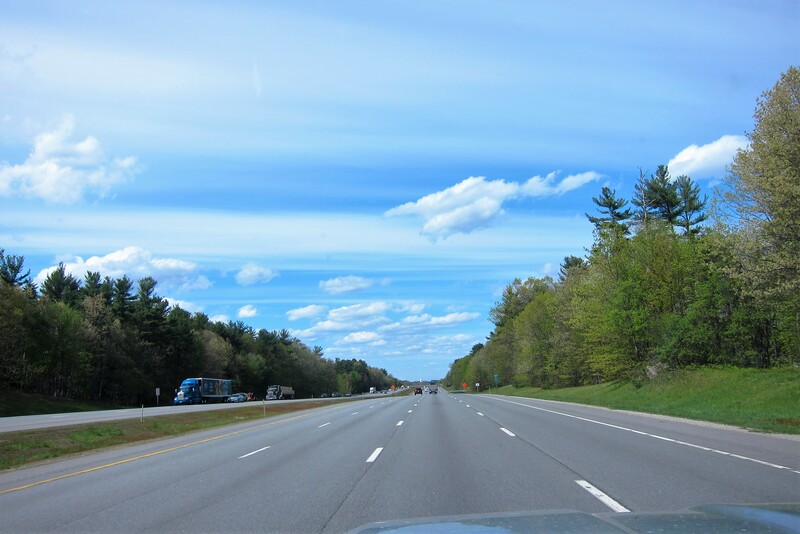 At 1540 we crossed into New Hampshire and 16 minutes later into the great state of Maine! Always a great feeling to return to our place of departure, but a bit disconcerting as well. Six months is a long time to be on the road living in a small plastic box on wheels! And, we have lived very nicely with the items that we could fit in our truck or trailer…didn’t seem to miss the ton of “stuff” we left behind in the house. Do we really need all that stuff? After all, there are folks that pack their worldly possessions in a backpack and hike the Appalachian Trail for six months! However, whenever Kit and I undertake the task of downsizing to make our Maine home a bit more serene, we find that we cannot part with very much!?!? Our “stuff” doesn’t define us, but it does give us pleasure…so for now nothing will change! 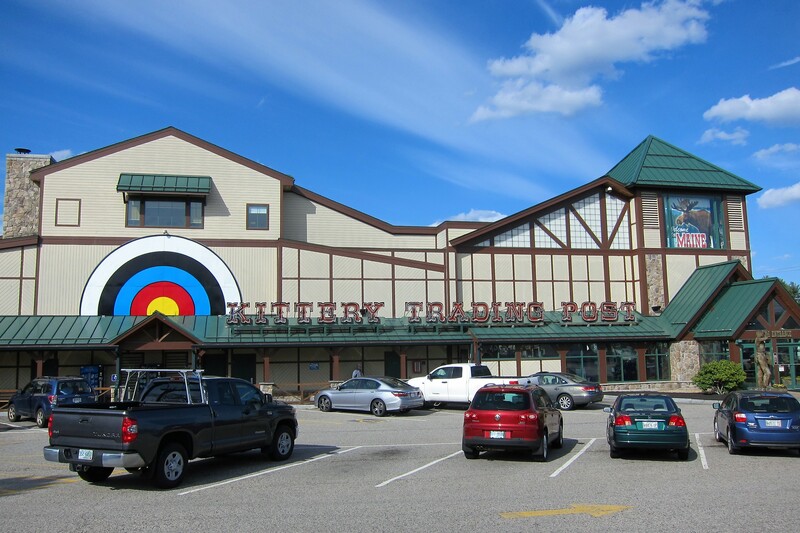 A tradition when we return from these trips via the southern route is to stop at the Maine border town of Kittery and pull into the Kittery Trading Post. 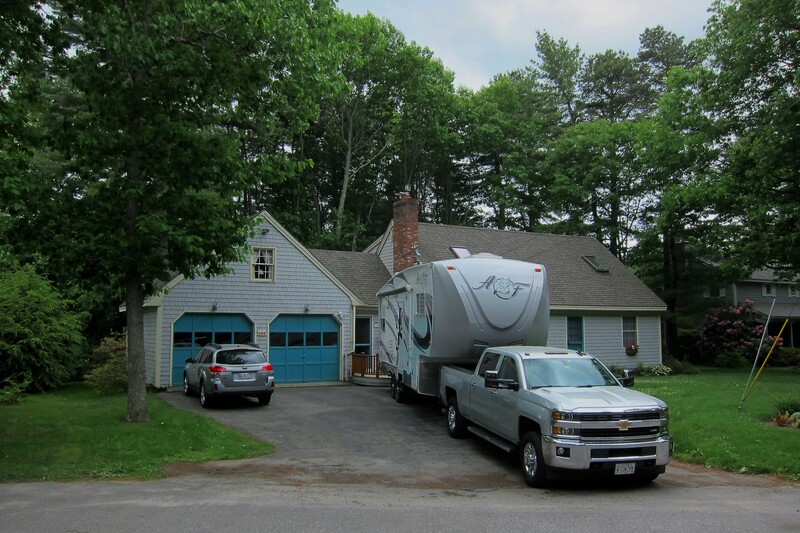 Not only is the parking lot very RV friendly, but the large store allows for some great walking around time while browsing at all the outdoor products that make life in Maine a bit more enjoyable. 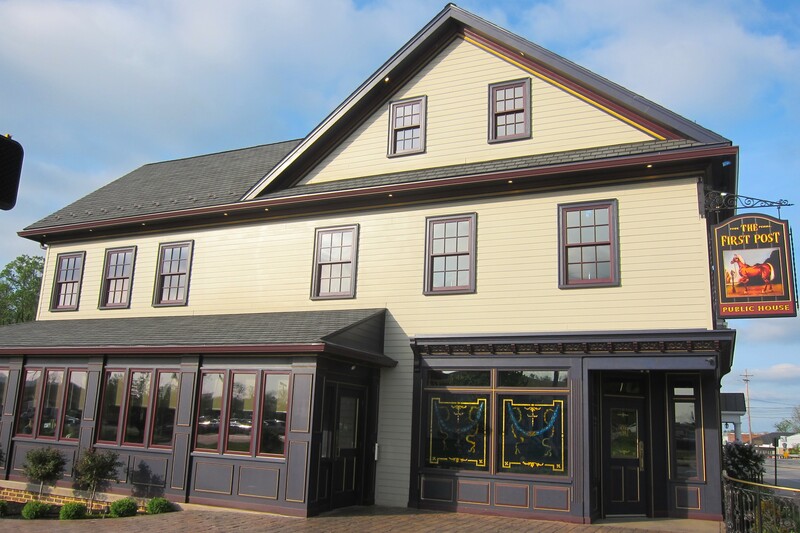 In addition, it is our first opportunity to enjoy a fresh Maine seafood meal at one of the restaurants within walking distance of the place. 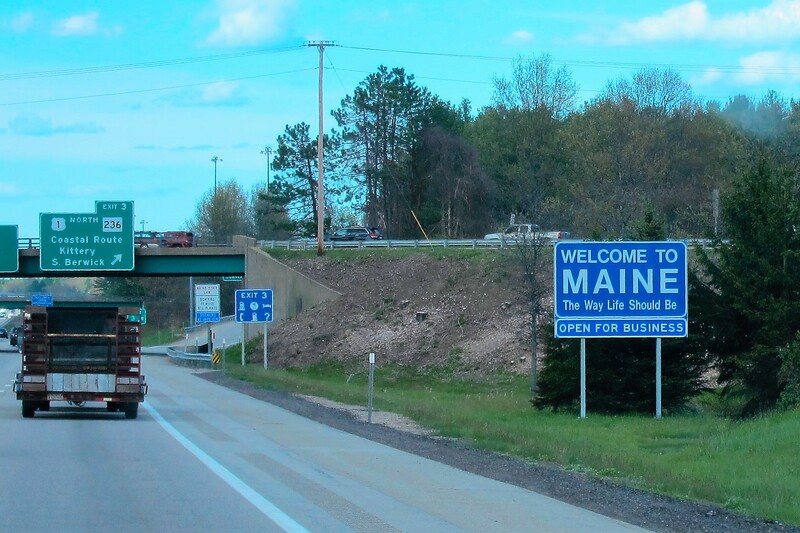 Back on the road for the final leg of our trip, we follow the only interstate in Maine to exit 28 and thread our way through the town of Brunswick arriving at our “Sticks and Bricks” home at precisely 2000 hours! This year’s Excellent Adventure has been as enjoyable as the previous seven! Even though our journeys take us to the Southwest, we try and use different routes and explore new areas. However, every year a strange phenomenon occurs…just as we cross off an item on our bucket lists, we seem to add a few new ones, or we just leave the explored location on the list as we vow to return and enjoy the destination again. At this rate we will have to live forever to accommodate all that we want to see! Before closing, a few additional random items that didn’t fit the narrative of this, our final journal. First off, shortly after returning home we received a nice message from the folks that did our 50th Wedding Anniversary photo last year, Pierce Studio. As you may remember, they wanted to use the photo in their annual advertising in this year’s Maine State Music Theater programs. Well as a thank you the kind folks at Pierce Studio offered Kit and I two tickets to the production of Mama Mia being performed later this year. 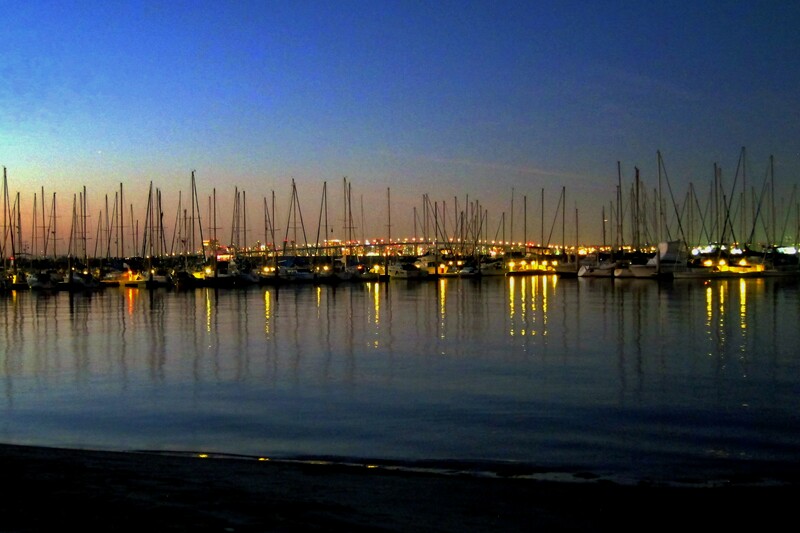 Another interesting item that occurred was when I received an e-mail awhile back asking permission to use one of my photos of the Coronado Bridge rising above the marina at San Diego’s Fiddlers Cove. Apparently an event coordinator had stumbled upon the snapshot lurking in the Google Images archives. She thought it would be the perfect backdrop for a Power Point presentation they were developing to support a major conference in San Diego this summer attended by an international group of research scientists. Of course, I humbly gave my permission to use the photo. Also a note about travel expenses this year. The single most expensive item we have to pay for is fuel. With the average cost of diesel at historically low levels, we saved over $700.00 in fuel costs this year compared to last! But, yea we know, we shouldn’t get used to that continuing! Well, that’s all for this year folks. Hope to have you along for the ride during Bill and Kit’s 2017 Excellent Adventure when we will be as surprised as you are where we go and what we will experience. Until then, have a great summer! 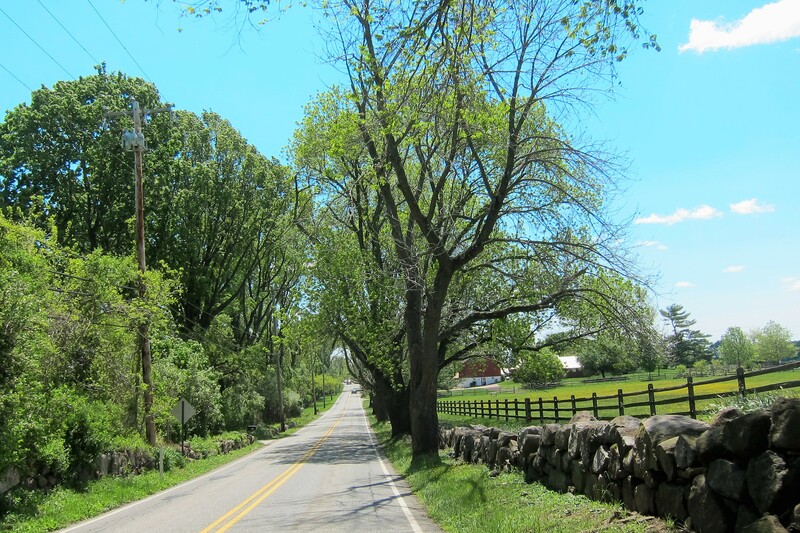 Kit’s Bit’s: It’s always great coming home! 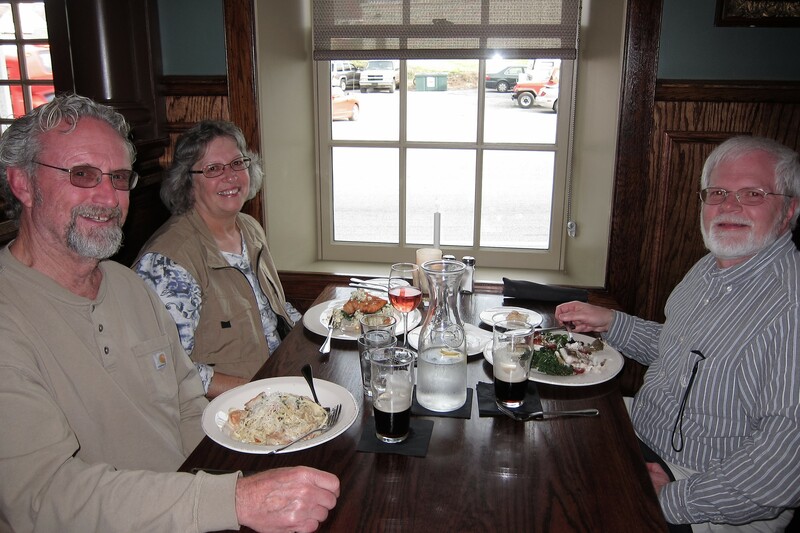 We miss our Maine Family and are always eager to hear what they’ve been up to during the last six months. Joe and Abby have been very busy restoring their 185-year-old home and are mostly moved in to it. They have done an awesome job so far and still have more to do. However, it is livable. It usually takes us a few weeks to settle in to our home after being on the road for a while. The first few days, we wind up running out to the trailer to get stuff. After a couple of weeks, we have most everything we need, in the house. Then, we have to clean the trailer and get it ready to be stored for a few months. Once it’s stored, we can relax and enjoy the beautiful summer and fall here in New England! Most beautiful place to live in the US! I feel like I reached the end of a very interesting book and wish it hadn’t ended! It was nice “meeting” your family members on this last leg of your journey. They’re a nice looking group and talented to boot! What an honor for Tim’s group to sing National Anthem at a baseball game. I’ll be watching for their CD. 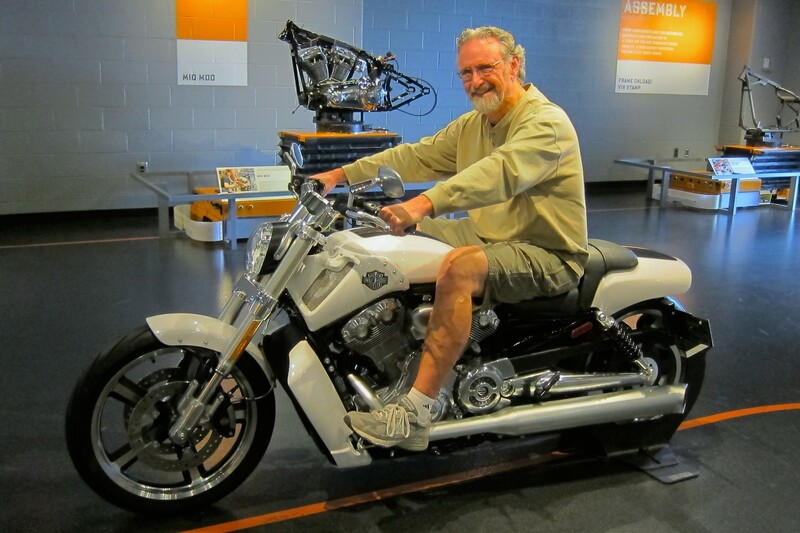 …I was happy to hear all those Harleys were built in America by Americans. What a concept! You guys looked like natural on them…maybe a Christmas idea? That picture of the Coronado Bridge in San Diego was just breathtaking! Does not surprise me at all someone wanted to use that…..you know what I keep telling you….. Yes that bumper sticker would be a howl….. Either Weiner…. Or Holder first. LOL…… Thank you both for taking me along on your journey thru this great country. You are a very talented writer and photographer and I’ve enjoyed reading them all. Thank you again! WELCOME HOME, 170 DAYS ON THE ROAD SEEMS LIKE FOREVER, TO US THAT REMAIN HERE IN MAINE WITH OUR FEET PLACED. THIS PAST WINTER HAS BEEN VERY EASY COMPARED TO SOME IN THE PAST, SO IT SORTA FLEW BY. YOUR JOURNALLS GIVE US MUCH PLEASURE AND ON VERY COLD DAYS SEEM TO WARM US UP AS YOU BASK IN THE SUN AND WARM TEMPS. JUST GLAD YOU ARE HOME SAFE AND SOUND! ONWARD!! HOWS ABOUT A LONGLEY WEINER TICKET?? So enjoy your journal and photos……armchair traveling is not as tiring as it is for you actually on the road. See you soon at IPOA……. Hooray! You made it home unscathed, quite an accomplishment. We, too have had the challenge of low underpasses to deal with. But no problems, thankfully. We sure have enjoyed riding along with you, all the way, and the in person visit was the greatest! Our next journey will be 2 weeks on the coast of Oregon in mid July….and back again for our 60th high school class reunion end of August. You folks take care, have a great summer, and hope to see you again maybe on Snowbird Mesa? bring your kites, you can use them there, for sure! I hope you had a Happy 4th of July. My name is Janelle Ryan and I’m a casting associate at VitaminEnrichedFilms.com. I came across your story while doing research for a casting I’m working on. I wanted to pass this opportunity along to you in case they’re interested. Would you mind forwarding them the following? I am casting nationwide for ‘Retirement Champions.’ We’re looking for men and women, 55+, who have saved and invested wisely enough to make their big-ticket bucket-list dreams a reality. We want to hear from people who have done something in retirement that simply was not possible when they were working full time. Maybe you climbed a notable mountain. Sailed around the world. Started a band. Turned your passion into a business. Maybe you’re involved with a charity or even started one. Joined the Peace Corp. Broke a personal record in sport. Whatever it is, we want to hear about how you realized your great accomplishments in retirement. If you thought about it for years, and planned to make it happen in retirement, then we want to hear about it. Payment: is $750.00 for a one day shoot. Our turnaround time is very tight on this so please send in your details ASAP. Please feel free to email us with any questions. Thanks so much. We look forward to hearing from you!